During the ministry of Dr. Charles Spurgeon, several men would gather in a room underneath the pulpit to pray for Dr. Spurgeon as he preached as well as praying for the people to respond to what the Lord had spoken through Spurgeon. At Sherwood, Spurgeon’s Prayer Room, located underneath the choir loft, exists for the same purpose. Men and women gather there to pray for each aspect of the service as it is occurring. We pray for our choir and orchestra as they lead in worship, our offering, the Pastor as he preaches the Word, and the invitation – that people would be obedient in responding to the Lord and the lost would be saved. Prayer is our first line of defense and our line of attack. It is in the realm of prayer that battles will be won or lost, souls will be confronted with the awesome salvation provided through Jesus Christ, and that unity, power, love, and Christ-likeness will be achieved. We need literally hundreds of prayer warriors who will get before God on a consistent basis. Our goal is to have men and women praying in our Prayer Tower 24 hours a day, seven days a week. Our ultimate goal is to have four people praying every hour, setting watch over the church and community. 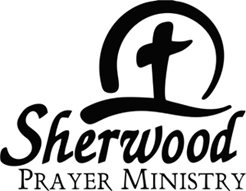 House of Prayer is on Sunday evenings before the evening worship service. We meet in the Worship Center at 5:30 p.m. - 6:00 p.m. We invite you to join us weekly at this time and be still before the Lord. We pray for our church, nation and write prayer cards to those in need. Come join us this Sunday! We believe that it is necessary for our Pastor to have an abundance of prayer support for his personal, spiritual and ministerial needs. For this reason the men of Sherwood were called together to meet once a week to lift our pastor up in prayer. Prayer time is at 7:45 a.m. every Sunday and involves a rotation of more than 150 men. As an extension of Pastor’s Prayer Partners, men meet weekly in individual, small groups to pray for our church and the needs of our individual members. If you are interested in learning more about these ministries please contact the church at 229.883.1910. If you are seeking someone to pray for a specific need you have, you can call the Prayer Line at 229.438.PRAY or click on the button at the top of the page.